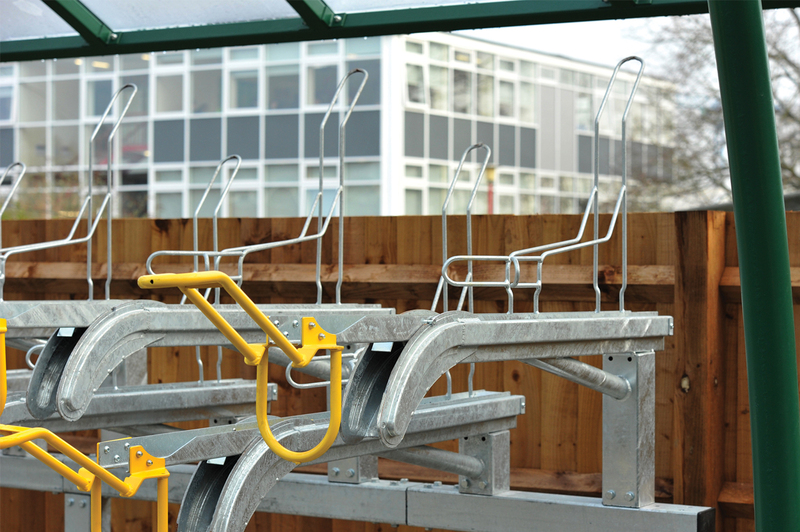 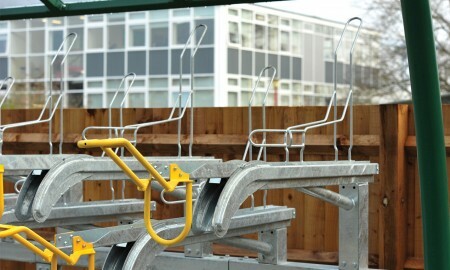 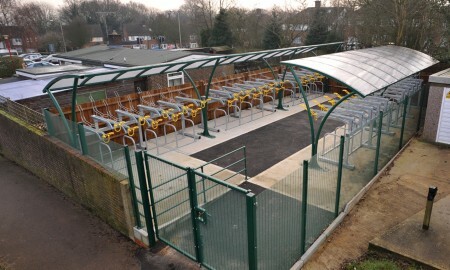 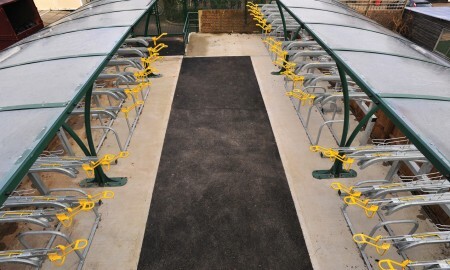 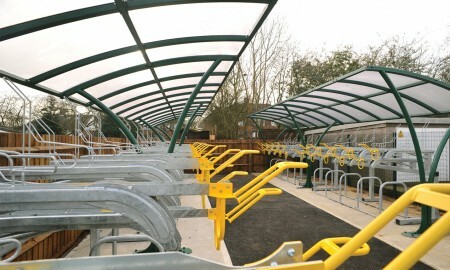 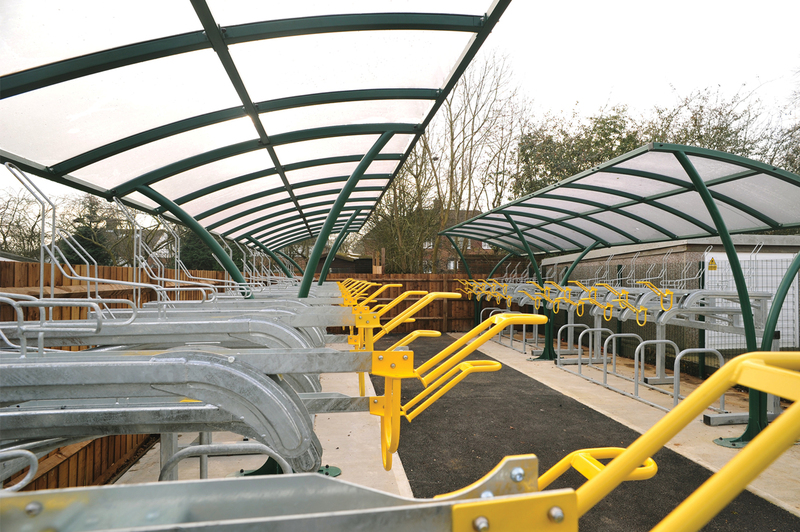 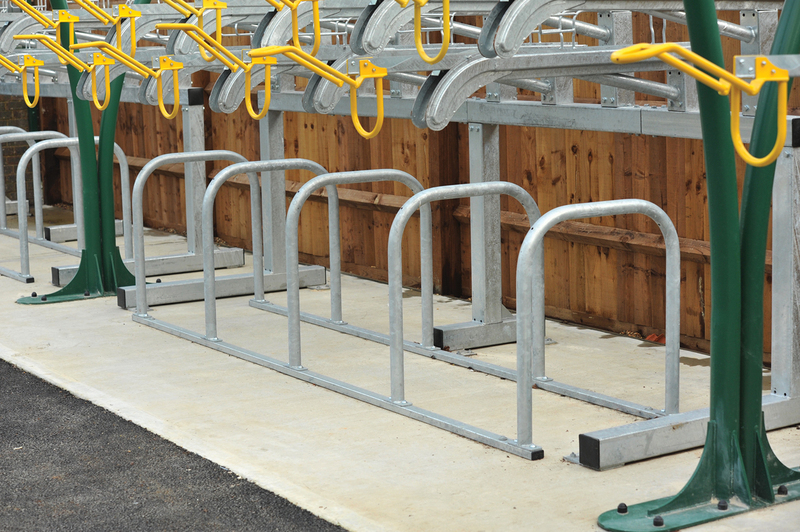 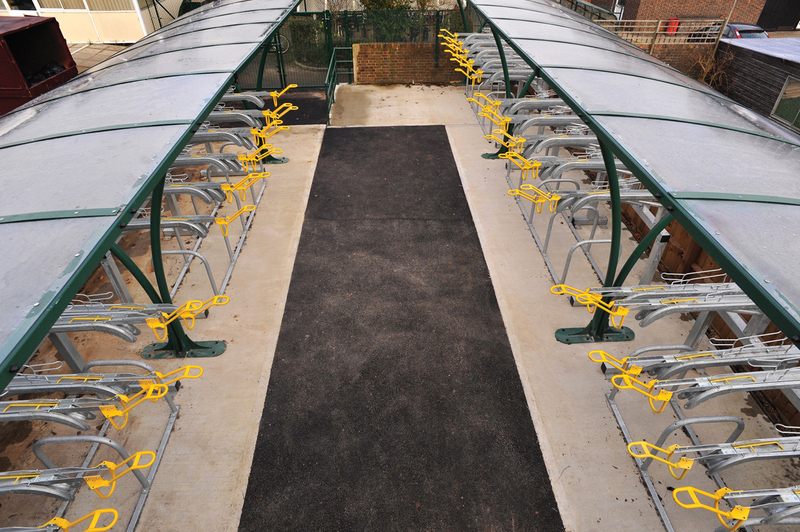 Sandringham School in St. Albans required a solution to their need for mass pupil cycle parking. 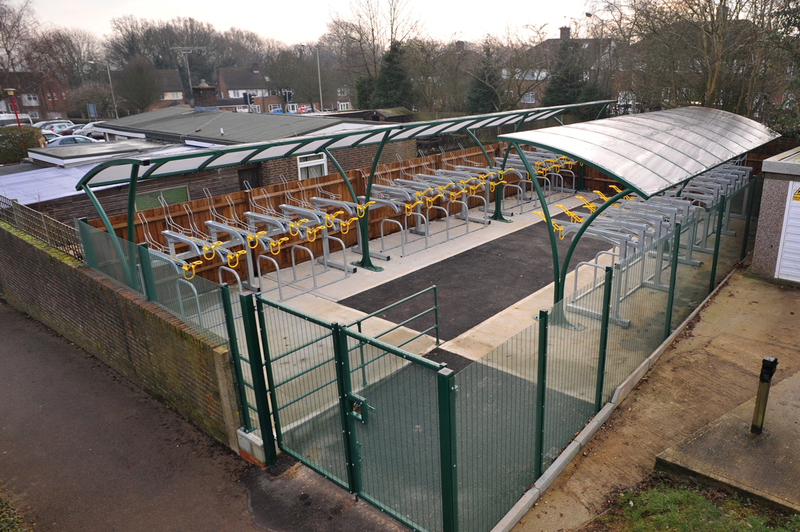 They had a designated area that they wanted to use and wanted quite a large amount of cycles parked in that area. 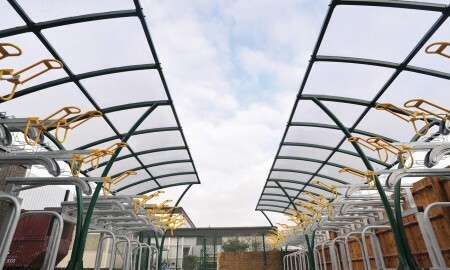 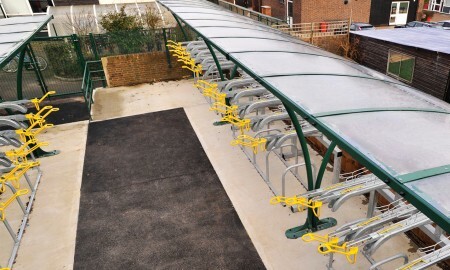 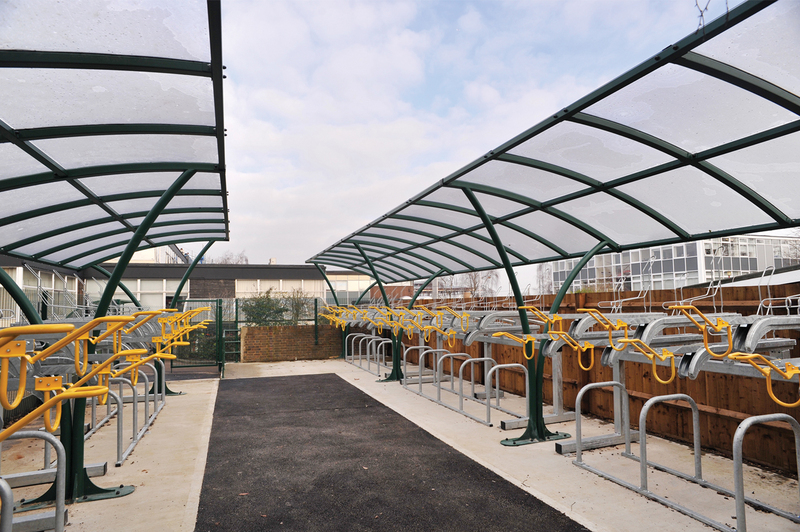 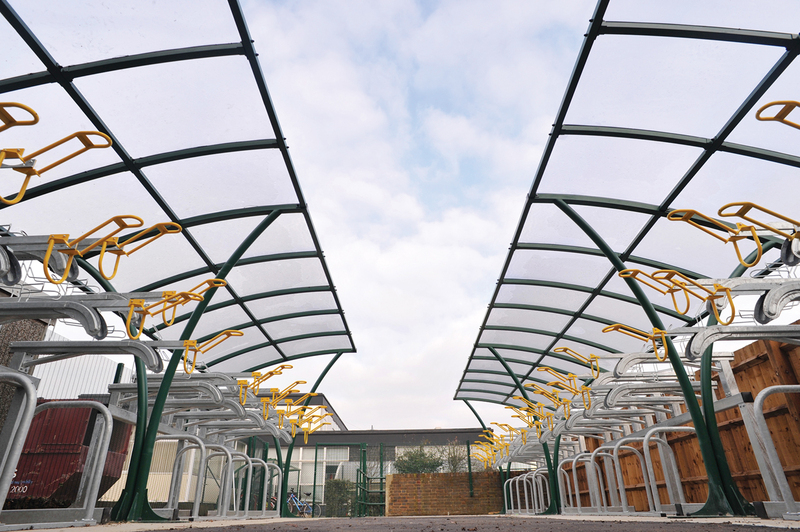 Broxap provided the Hi-Rise system to achieve their goals and incorporated them into a series of Broxap Apollo cycle shelters which kept the cycle stored beneath dry in bad weather. 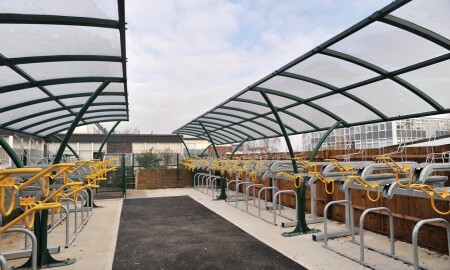 The compound was finished with security mesh fencing and lockable swing gates. 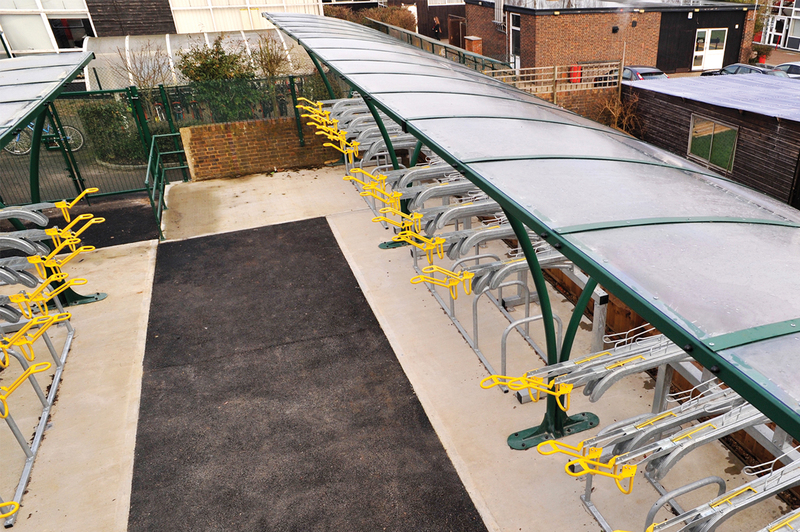 The entire area now offers a clean, tidy and easily accessible cycle parking area where cycles can be loaded and unloaded into the upper and lower tiers with ease. 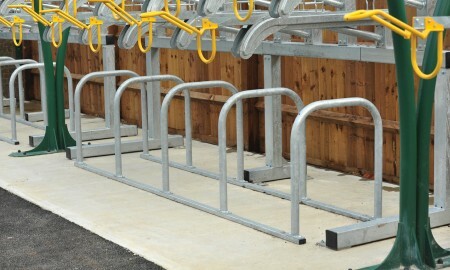 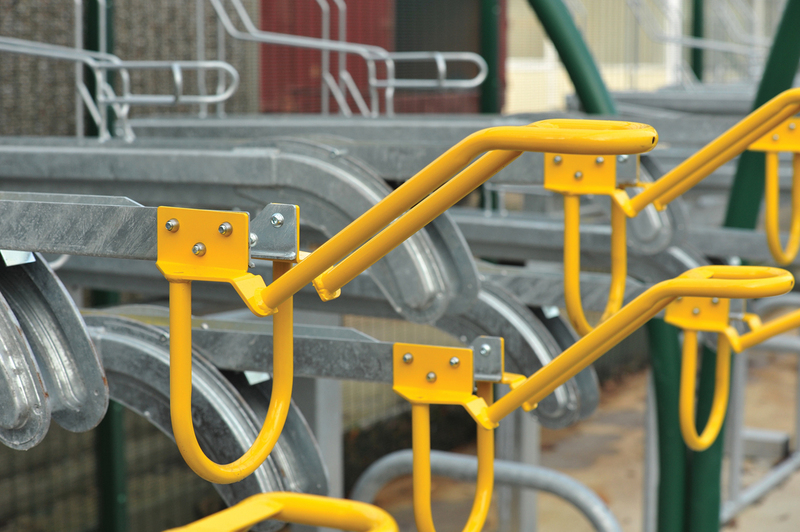 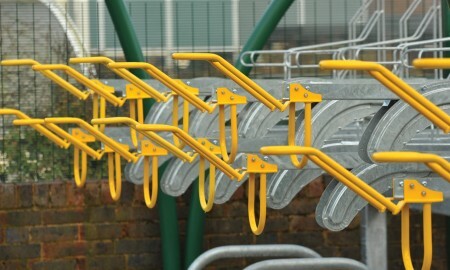 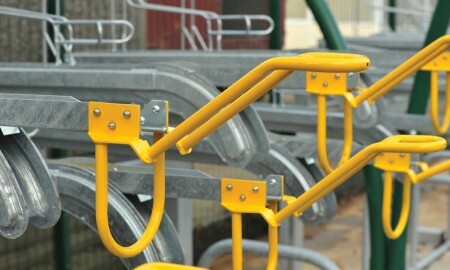 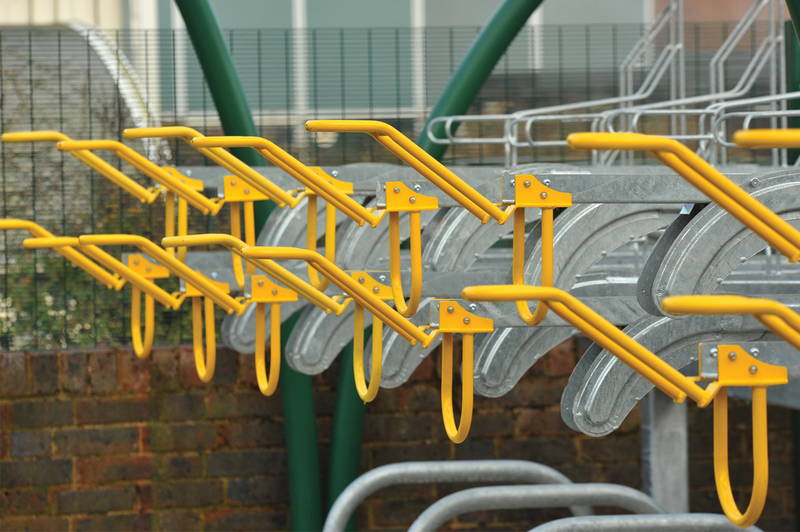 Sheffield racks were used in the lower tier as these are the favoured form of rack as it allows for easy reach of a cycle when it is secured to it.